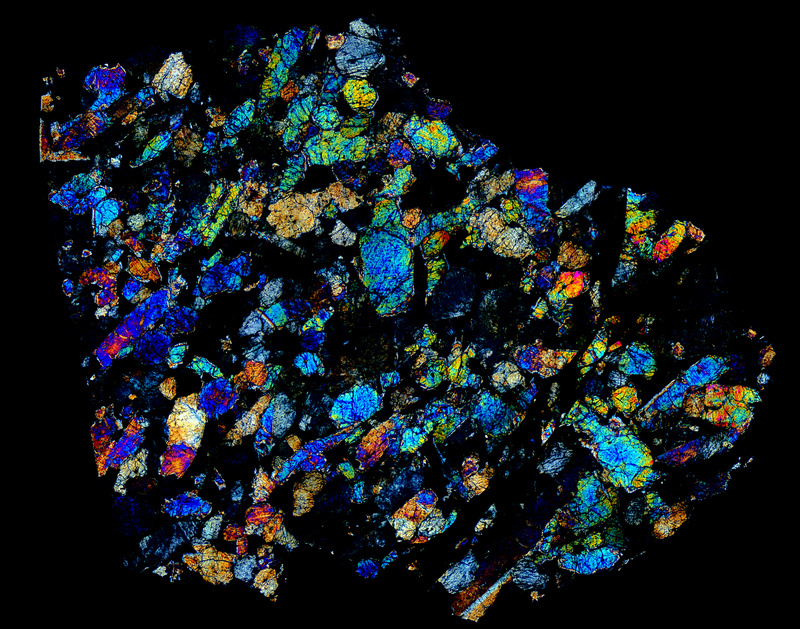 Meteorite thin section panorama of the Zagami Meteorite. Amazingly, the story of this fall proclaims that the object fell within ten feet of a farmer in Nigeria — can you imagine that happening to you! Classed as a Martian Shergottite, it represents the most commonly recovered type of meteorite with Mars as its parent body. Zagami Fall information and main mass photo PDF.